Exports from the Latin American and Caribbean region lagged the rest of the world in 2018, despite reaching their highest level in six years, according to a report by the Inter-American Development Bank (IADB). The region exported US$1.08tn worth of goods last year, up 9.9% on 2017, the report says. This was a good way below the 12.2% increase between 2016 and 2017 and fell short of the 11.6% global export growth figure. Digging into the figures, China remains an important driver of export growth for the region. 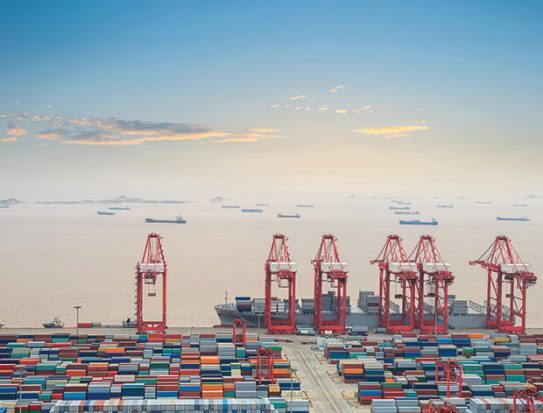 Shipments to the Asian giant climbed by 24.2% in 2018, while sales to the EU and the US increased by 10.6% and 8.6% respectively. Although 11 countries around the region – including Argentina, Panama, Trinidad and Tobago, Ecuador and Jamaica – saw better export growth compared to 2017, the regional average was pulled down by South American exporters as a whole, who were hit by a decline in mineral and agricultural product prices. The region’s exporters are still struggling with tumbling commodity prices. Last year saw the price of copper fall by 6.1% in the January-November period compared to the same period in the previous year, hitting Chile particularly hard. Meanwhile, soy fell by 4.3%, coffee shed 16.4%, and sugar dropped by 23.4%. Forecasts for 2019 paint an even gloomier picture, with increased geopolitical uncertainty, including rising trade tensions, policy changes and trade barriers, threatening to batter commodities trade. Lacklustre intra-regional trade is another stumbling block to export growth, with IMF figures showing only about 15% of total exports from Latin America are destined to regional markets, as compared to around 50% of exports from Asia and Europe, due in part to the region’s reliance on commodities in its export basket. As part of measures to tackle this, the IADB has put out a call for proposals for its 2019 Regional Public Goods (RPG) initiative, which supports projects involving three or more countries. The proposals must involve a collective solution produced by at least three IADB borrowing member countries, and criteria include a regional, versus national, approach to addressing a development challenge or opportunity. Since 2004, the RPG initiative has financed 169 projects, investing more than US$120mn. Past RPG-funded projects have included a protocol for joint procurement and quality of medicines in Central America, an action plan for the energy efficiency in the Caribbean hotels, support to the interoperability of foreign trade single windows, a framework for protection and registration of migrant workers in the Southern Cone and regional standards for school infrastructure across Latin America and the Caribbean.